As the good food gospel spread, new kitchenware specialists offered food enthusiasts the opportunity to cook like their culinary heroes in their own homes. Americans first saw Julia Child use knives and cookware imported from Italy, France, and Germany on The French Chef. They then demanded her specialized equipment from their retailers, as well as the artichokes and shallots, wines, and French cheeses she featured on television. New passions for cooking Italian, French, and Chinese food were met by an equal passion for the tools and ingredients used to produce those foods. Cookware marketing and sales took on a new dimension, as retailers opened specialty shops featuring a wealth of new equipment. Cookware, food, and wine producers became the major sponsors for cooking shows, while television chefs began endorsing their sponsors’ products, some eventually “branding” their own lines of food and kitchenware. The Scandinavian company Danko, a prolific manufacturer of European-styled housewares, made most of the fondue pots that found their way into American homes. A New Jersey family used this Danko fondue pot at parties following Friday night football games and at family gatherings. Gift of Beth Kline. 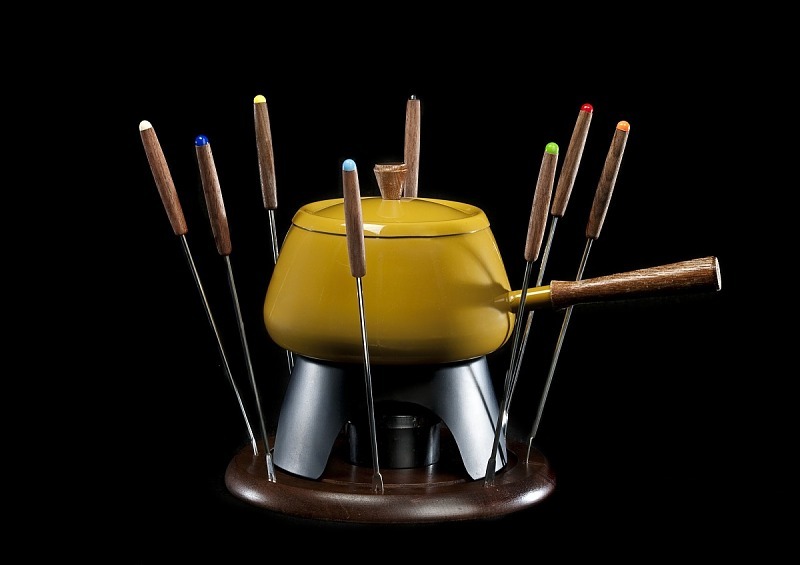 Boston’s Pot Shop, an early kitchenware store specializing in European wares for the adventurous cook, promoted the craze for fondue parties by selling party-sized fondue pots, forks, plates, and books like this. 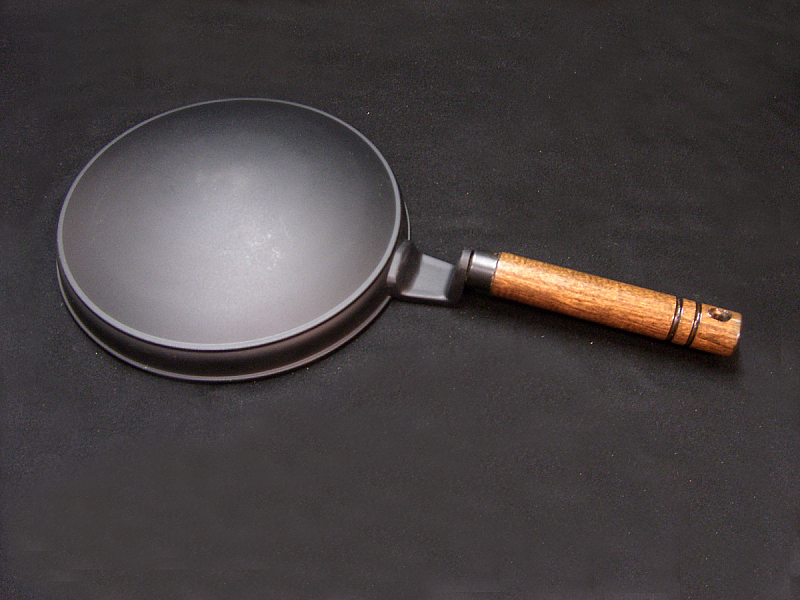 Made by Nordic Ware, this stovetop, Teflon-coated crepe pan sought to take advantage of the fad for crepes by packaging recipes and pan together. Gift of Nordic Ware, through H. David Dalquist.